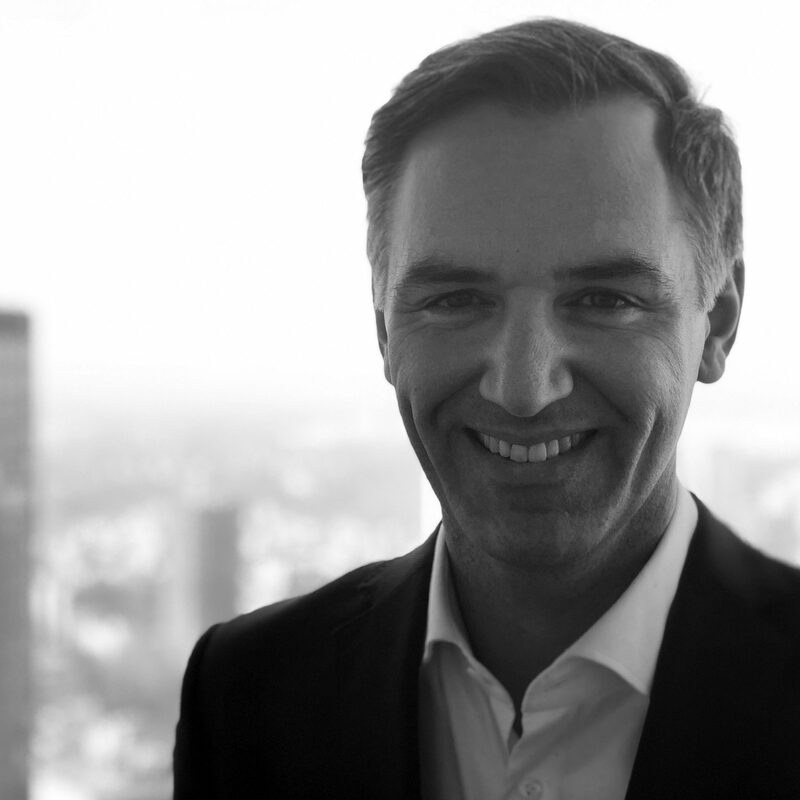 Sascha Pros­ek is Commerzbank’s Head of Brand Strat­e­gy & Design since 2008 and is respon­si­ble for the devel­op­ment, man­age­ment, imple­men­ta­tion and per­for­mance mea­sure­ment of the brand strat­e­gy, brand posi­tion­ing, the man­age­ment of the brand port­fo­lio and trade­mark pro­tec­tion mat­ters as well as cor­po­rate design. He stud­ied visu­al com­mu­ni­ca­tion at the Uni­ver­si­ty of the Arts Berlin and com­plet­ed his stud­ies with a Mas­ter of Arts. In 2007, he received a Mas­ter of Busi­ness Admin­is­tra­tion with a focus on busi­ness design from the Zol­lvere­in School of Man­age­ment & Design of the Uni­ver­si­ty of Duis­burg-Essen. Sascha already gained hands-on expe­ri­ence dur­ing his stud­ies at Pix­el­park in Berlin amongst oth­er sta­tions. From 2000 until Sep­tem­ber 2007 he worked for the brand con­sul­tan­cy MetaDe­sign in Berlin and Gene­va. There, he was respon­si­ble as a Design Direc­tor for the devel­op­ment and imple­men­ta­tion of brand strate­gies and visu­al brand appear­ance for nation­al and inter­na­tion­al clients from var­i­ous indus­try sec­tors. Com­merzbank is a lead­ing inter­na­tion­al com­mer­cial bank with branch­es and offices in almost 50 coun­tries. In the two busi­ness seg­ments Pri­vate and Small Busi­ness Cus­tomers, as well as Cor­po­rate Clients, the Bank offers a com­pre­hen­sive port­fo­lio of finan­cial ser­vices which is pre­cise­ly aligned to the clients’ needs. Com­merzbank finances approx­i­mate­ly 30% of Germany’s for­eign trade and is lead­ing in financ­ing for cor­po­rate clients in Ger­many. Due to its in-depth sec­tor know-how in the Ger­man econ­o­my, the Bank is a lead­ing provider of cap­i­tal mar­ket prod­ucts. Its sub­sidiaries Comdi­rect in Ger­many and mBank in Poland are two of the world’s most inno­v­a­tive online banks. With approx­i­mate­ly 1,000 branch­es, Com­merzbank has one of the dens­est branch net­works among Ger­man pri­vate banks. In total, Com­merzbank serves more than 18 mil­lion pri­vate and small busi­ness cus­tomers, as well as more than 60,000 cor­po­rate clients, multi­na­tion­als, finan­cial ser­vice providers, and insti­tu­tion­al clients. The Bank, which was found­ed in 1870, is rep­re­sent­ed at all the world’s major stock exchanges. In 2017, it gen­er­at­ed gross rev­enues of €9.2 bil­lion with approx­i­mate­ly 49,300 employ­ees.